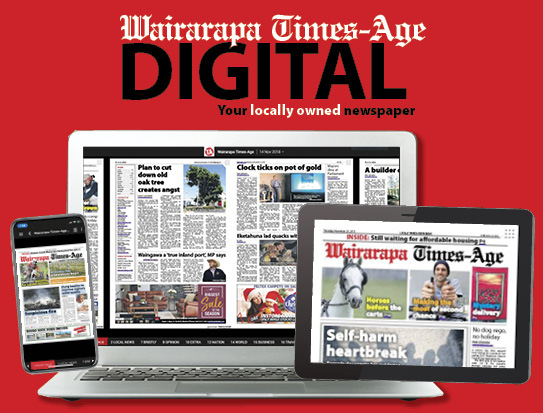 One hundred and thirty-five years ago, the Mauriceville West Lutheran Church was built, with the site later becoming the resting place of some of New Zealand’s early Scandinavian settlers. But next month, it will be the end of an era, with the church set to be deconsecrated and sold for relocation. It is not the original build, but it does date back to 1957. Congregation members and trustees of the site Bruce and Jo Farley said they were saddened by the decision to sell the church building, but knew it was the right move. \“We’re working through options where the building will be given a new life,” Bruce said. 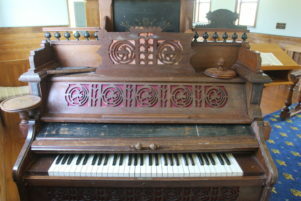 “One person we are working with is very interested in its history and trying to preserve that. The couple, who together make up a third of the remaining congregation, found consolation in the idea that the church building was “just a building” – “the church is the people”, Bruce said. 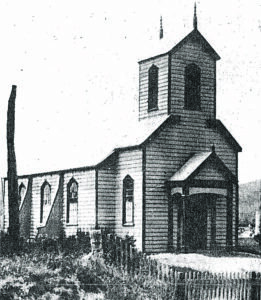 The church, located on South Rd, Mauriceville, was first opened in 1884 and was built of kahikatea. Its interior was described in historical documents as “severely plain”, with a row of long wooden pews on either side of the aisle, “the men sitting on one side, the women on the other”. By the end of the 1950s, the original church had fallen victim to borer and was demolished. A new church was built on the same site by members of the community who volunteered their time. Some parts of the church were kept and remain in place today including the bell, the organ – which was brought over by the early Scandinavian settlers by boat, the altar rails, sacred vessels, and a framed colour print of the painting by Danish artist Carl Boch depicting Christ standing with his hand on the head of a child. The pine that was used to build the new church was donated by Jo Farley’s uncle. Jo, whose family and ancestors are buried at the church site, grew up in Mauriceville West. 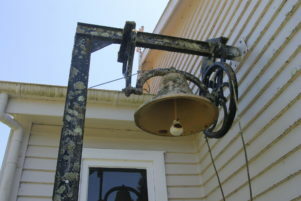 The church bell will likely remain on site. She remembers going to church and enjoying Sunday School there regularly. Her ties to Mauriceville West go back five generations. “Jo’s parents were the last congregation members to live in this community,” Bruce said. 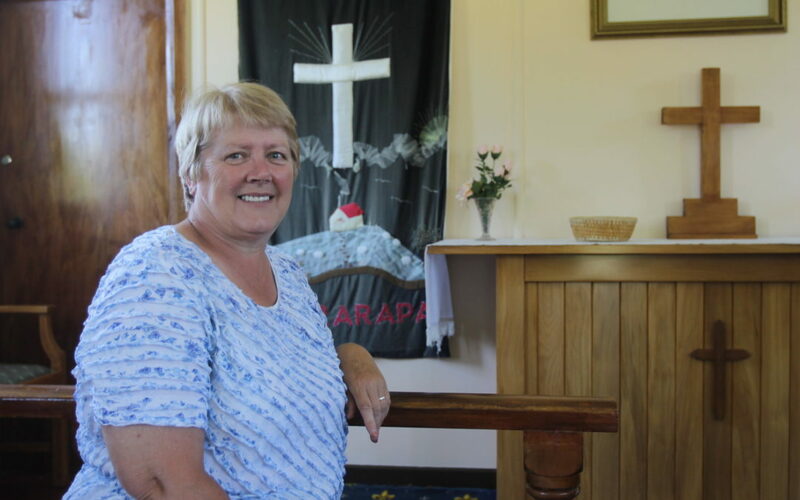 For the past few years, the congregation has joined St Andrew’s Union church in Greytown. 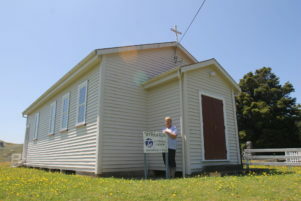 Bruce said it had been “quite a job” maintaining the Mauriceville West church and burial ground over the years – there are 110 people buried there with some graves dating back to more than 130 years ago. These ones are marked with wooden slabs instead of headstones. “We started to think about what was sustainable and we didn’t want to be making this decision when we’re 80,” Bruce said. 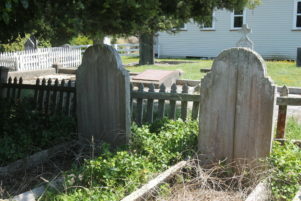 The Mauriceville West Lutheran Church burial ground. “Like so many families, our children don’t live locally. The couple discussed the church’s future at length with their pastor and the bishop for the Lutheran Church of New Zealand and it was decided the best move would be to sell the church building for relocation and hand over the stewardship of the burial grounds to a local authority. The latter is still being discussed and, until plans are made more concrete, the couple will continue to be stewards of the burial grounds. A visitor book inside the church shows the grounds are visited by the public each week. On March 24, a final service will be held at Mauriceville West Lutheran Church at 3pm before the building is deconsecrated. The exterior of the church today. “It will be the final service here and so we’d love anybody with a history with the church or the Scandinavian community to come up,” Bruce said. “If you want to come up earlier and have a picnic lunch on the grass, that’s great. 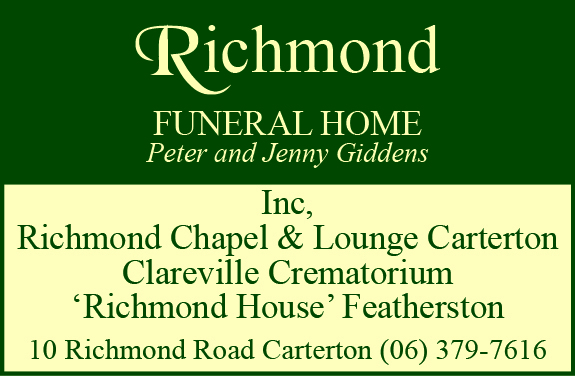 If you would like to get in touch with Bruce and Jo Farley, you can contact them on (06) 304-9088. I remember your church well. Although I have not been to a service I have walked around the grounds with my late Grandmother Dot Osborne. I used to stay at Hastwell often, walk to the school behind the cows to the paddocks up on the crossroads. This was when my Mum was having treatment in Rotorua Hospital. I got to know many of the Scandinavian settlers, from attending Hastwell School, Table tennis and Card evenings with Grandma and uncle Jack. All the best with the sale. Kind regards Pam L.
My greatgrandparents are buried there .The Kjestrup family .